The relative economic and political stability in modern Senegal is a significant feat attributed to the country's growth through microfinance. Cheikh has started his activity as a door-to-door seller of photo frames and pictures of celebrities. This is where he came up with the idea of becoming a photographer. He learned this job in a photo studio where he was used to buy his stock of goods. At this time, his activity was going well and he enjoyed it. With his savings, he bought his first camera and started his sessions. "I opened an account with MicroCred in May 2012 and my case was handled in less than 20 days with the help of their partner MicroWorld. At first, my shop was half empty because of lack of funding, but also because I don't like loans for fear that my business does not work and that I would not be able to pay my deadlines. With funding and support from your institution, I could build my product inventory and meet strong customer demand, I added more goods than I was selling before because I didn't have the money to get them. "MicroCred helped me to increase my productivity. Since I received my microcredit, I’m not faced with stockouts, I manage to meet the needs of my clients and I increased my income. In the long term, I want to open a local to better expose my products and attract more customers." "With the support of MicroCred I could associate momentarily selling fabrics, alongside my business selling fish products. Currently I am in my fifth credit and believe me if credits were not beneficial to me, I would never ask to renew it. I’m lucky, I do not pay rent and my husband assures daily expenses, but our family doesn’t know anything else than the work, I have been educated in this way. “I do not regret having known MicroCred. Since this time, my shop is always busy and my clients never complain. My business is changing and with my income, I assure the daily expenses of my family, which is really my priority. “With this loan, I was able to plan my trip in the sub-region by strengthening my stocks fabrics. I also learned to develop my capacity, because of course I could increase my income to support my family. However I am facing difficulties in collecting receivables, stiff competition and the circumstances that constitute a real obstacle to the development of our business. "MicroCred is my only financial partner and I do not want to stop in so good way. My life has completely changed since I started working with your institution. I can now build my stocks of fabrics and better serve my clients. Currently, I became financially independent and I hope to keep this momentum going!" “I financed the trip of my daughter abroad with the support of MicroCred. Since I started working with your institution, I felt a real improvement in my work and in my life everyday. I learned to save money, I always pay my deadlines on time. I owe all that to my loan officer who keeps giving me advices. In the future, I would like to expand my business in several areas to increase my profit margin and better take care of my family." “I managed to make my two projects with the support of MicroCred. In addition to my work as a hairdresser, I was able to buy cosmetics and travel to Mali to stock up on dyed fabrics. And since my business is evolving by leaps and bounds, my turnover has increased and even I manage to save often. My clients who do not pay on time do not affect my deadline because I always pay before the date. 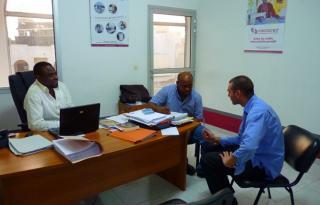 At this moment, I can not wait to finish this loan and renew my request to still travel to Mali to meet customer demand." 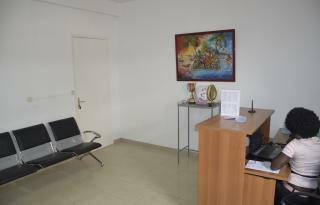 NEWS FROM SENEGAL - Babacar Diop - Continue to expand his business ! "I am fashion designer and I had a credit 450.000FCFA payable in 10 installments for the purchase of fabrics, in order to strengthen my capacity. Indeed, the loan amount has been used as intended and my business continues to grow since then. Now I am able to fix my problems and the ones of my family thanks to the growth of my revenues. But unfortunately, this activity has become very saturated now and in addition, there are also risks that clients don’t pay. At the end of the credit, I would like to ask another credit to improve my business and why not open another room. " Senegal has the fourth largest economy in the West African sub-region. The economy is geared mainly towards agriculture, which employs 70% of the population , although unfortunately the sector is weakened by low rainfall. 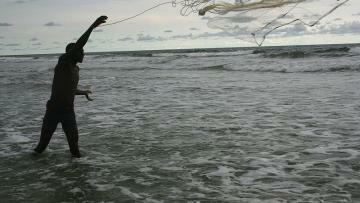 Fishing, another key sector of the economy, currently suffers from over-exploitation of fisheries resources. 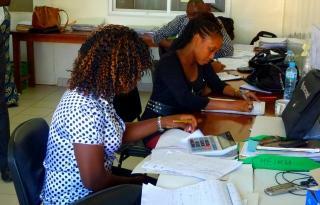 Much of the Senegalese population work in small businesses within the informal sector. This sector occupies an important place in the economy, generating 97% of new jobs in a country where the unemployment rate is around 50%, and 54% of people live below the poverty line. Despite these challenges, the Senegalese economy is relatively strong, and it has an established multi-party political system that has been hailed as a model for democracy in Africa. Senegal is known as the land of teranga(hospitality), due to the warm and welcoming nature of the Senegalese people. 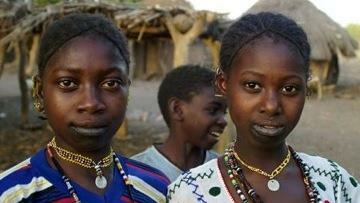 Although French is the national language, many people speak their own ethnic dialect, the most common being Wolof, which is spoken by around three-quarters of the population. The majority of Sengalese are Muslim, although there is a Christian minority, and many incorporate animist beliefs into their faiths. Senegal is famous for its talented craftsmen and artisans, and its traditional music that is thought to have been the foundation for many modern music styles enjoyed in the West, such as country blues, calypso, reggae, and rap. Since it emerged in the early 1990s, the Senegalese microfinance sector has grown rapidly thanks to a favourable legal framework and several large backers such as the Central Bank of West African States, the World Bank, and the French Agency for Development. Today, there are over 700 decentralized financial institutions recognized, providing financial products and services to people working in a range of sectors in the national economy, and contributing to economic growth and the fight against poverty. After a period of strong growth between 1993 and 2003, the sector has continued to expand, albeit at a slower pace. In 2008, new regulations were introduced which will attempt to address the structural weaknesses in the microfinance sector, and to ensure a minimum standard of professionalism for new entrants into the sector. 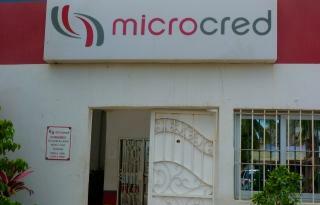 MicroCred Senegal’s mission is to support Micro, Very Small, and Small-to-Medium Enterprises in their development through providing financial services that are appropriate to their needs. 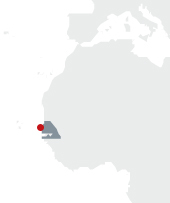 By taking a personalized approach, MicroCred Senegal assists merchants, artisans, and service providers in expanding their businesses by financing their income generating activities. 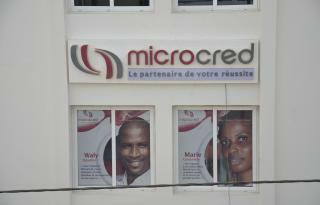 MicroCred Senegal is part of the MicroCred Group, which was established in June 2005 by PlaNet Finance with the aim of creating a group of commercial microfinance companies offering financial services to low income entrepreneurs. 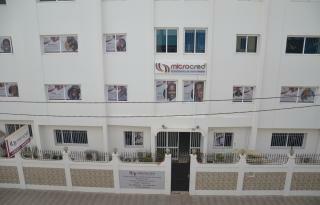 MicroCred Senegal, created in March 2007, was the third institution in the group, and aims to become a leading microfinance institution contributing significantly to funding for small and medium-sized enterprises. 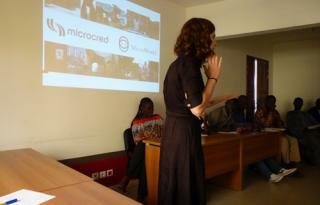 MicroCred Senegal operates in several industries, including trade, manufacturing, and the service sector. The majority of clients, however, work in the informal sector. MicroCred excludes any activity not permitted by law, such as the sale of alcoholic beverages, tobacco, wood from virgin forests, firearms and all polluting activities that have ecological impact on the area. MicroCred grants loans to any person under the age of sixty who runs a business and has a minimum of one years experience in the industry, and at least six months of uninterrupted operation in the locality. At the head of each local branch there is a branch manager who is responsible for overseeing the entire credit process. They are assisted by the assistant branch manager and a supervisor. They manage the loan officers, who are responsible for promoting MicroCred in their local community, assessing loan applications, and tracking and recovery of loans. In the back office, the senior advisor and client advisors are responsible for opening customer accounts, reviewing applications, and advising customers on the fund release process. The senior cashier and team of cashiers are responsible for releasing funds, making cash transactions, and keeping the cash inventory.